At the Gulf of Panama, Pacific Ocean, Panam. IMO N? : 9338723 Class: NK Class Notation: NS*(VC)(PSCM) MNS* CHG, MPP, LSA, RCF, M0, AFS. The ship has complied with the requirements of Chapter II-1, Part E of SOLAS, "Periodically unattended machinery spaces (UMS)". 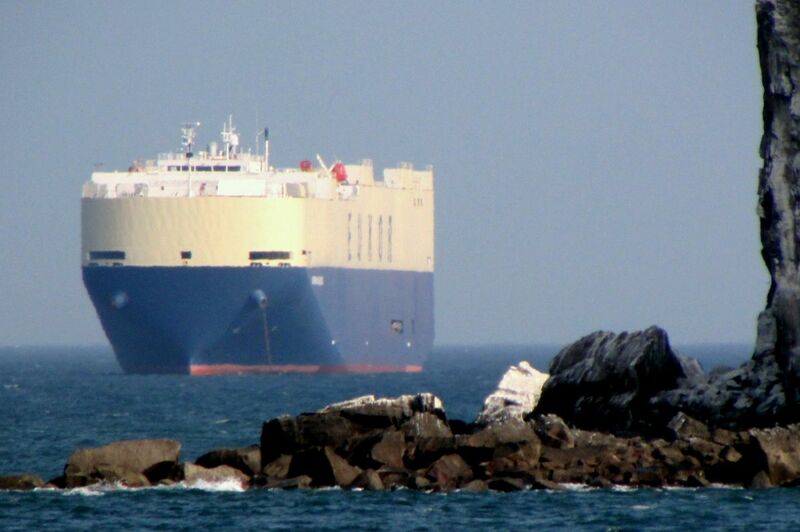 Radio Installations : GMDSS A1+A2+A3, SSAS Navigation Equipment : MC, GYRO, HCS, ECDIS, GPS, RDX, RDS, ARPA, AIS, VDR, LOG, LOG(G), ES, ROT, STGTEL, DSL, LRIT, BNWAS Type of ship: Vehicle Carrier Call Sign: 3EPF3 Flag: Panama Port of Register: Panama Ship?s Managers: Eukor Car Carriers Inc. ISM Manager: Fleet Shipmanagement Pte. Ltd. Registered Owners: La Darien Navegaci?n SA DWT: 22,717 GRT: 60,876 NRT: 18.263 LOA: 199,94 Mts. Lpp: 190,00 Mts. B: 32,26 Mts. D: 15,00 Mts. Freeboard: 5.025 mm. Draught: 10,02 Mts. Shipbuilder :	Imabari Shipbuilding Co., Ltd. Marugame Headquarters Hull No. :	1467 Date of Keel Lay :	08 Jun 2007 Date of Launch :	04 Dec 2007 Date of Build :	08 Feb 2008 No. & Kind of Engines :	1D : 2 SA 8 CY Bore x Stroke (mm) :	600.0 x 2,300.0 Power (kW) :	15,540 Revolution (rpm) :	104.0 Manufacturer :	Kobe Diesel Co., Ltd.
Ship manager Eukor Car Carriers Inc.
Place Gulf of Panama, Panama.